Dirt Connections offers Rockville, MD fill dirt delivery at affordable rates to anyone who requires fill dirt for their construction project. We always have enough free fill dirt at our disposal to satisfy the demands of your project, big or small. Dirt Connections will handle the project logistics for you so that you can direct your efforts into completing the tougher aspects of your project versus wondering if you will have enough fill dirt to carry on with your project. 7 Schedule a Rockville, MD Fill Dirt Delivery Today! If you have decided to manage a remodeling or landscaping project, there is a fine chance that your construction project will require a sizable amount of fill dirt. Fill dirt will most likely be used to build your foundation upon since it can create a stable, level, and reliable project surface. Our free fill dirt will provide a reliable surface for your foundation that is sturdy, which will allow it to avoid shifting and cracking over time. Fill dirt can also be used to fill holes as well as grade and even out land. Our free fill dirt reserve is always made available to you, no matter what the size of your next project is estimated to be. We may require a delivery fee, however, depending on the distance to your site, availability of materials, and any other specific project demands that may be limited during the time of your construction project. Dirt Connections has the knowledge and proficiency that are required to make a professional fill dirt delivery. We always make sure that our stock of free fill dirt contains enough to meet the demands of your project. Dirt Connections will be very happy to assist you with any other needs of your project, given that we are available during the time of your project. If your Rockville, MD fill dirt delivery requires a minimum of 10 truckloads, we do require a site inspection before we can deliver the fill dirt. The inspection is no-cost and is provided by us, but we do require a property owner or agent to be on-site during the inspection. 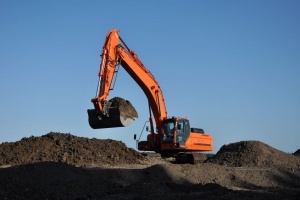 You will most likely be left over with an unused pile of fill dirt after your project if the construction process requires any type of excavation. 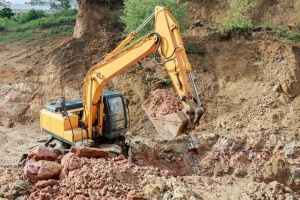 If you have an unnecessary amount of excess fill dirt after construction, Dirt Connections will be more than happy to handle every aspect of fill dirt removal, including hauling and dumping, from your site. Since fill dirt can be used to create a very strong and level surface, it will most likely be used to build your project’s foundation upon. You will be able to complete the construction process faster and under budget. 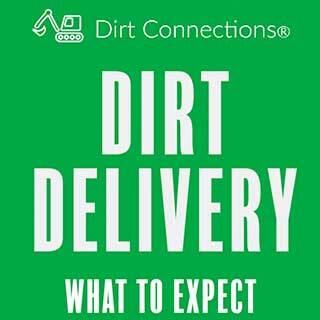 Dirt Connections takes pride in helping our clients save time, money, and effort with expert fill dirt delivery. Our knowledge and familiarity with the area of Rockville is seen as an asset in regard to affordable and reliable fill dirt delivery services to clients who are in or around the area. Fill dirt that remains lying around after a project is completed can become a huge inconvenience if not properly taken care of. Should you need any type of dirt removal after your project, Dirt Connections will be more than happy to take care of it in full. This way, you can focus on wrapping up your project without an unused pile of fill dirt preventing you from doing so. Fill dirt will help you provide a stable and reliable surface for the foundation of your project; therefore, you must know how much fill dirt will be required before starting the project. This will help you avoid any delays that may occur during your project. Begin by taking a fill dirt estimate before ordering it. To find the required volume of a rectangular construction project, obtain the length, width, and height of the project space in inches. Then, multiply the width by the length, and finally multiplying the result by the height. You will now have the required amount of fill dirt in cubic inches, which can then be converted to cubic yards if need be. To estimate the required amount of fill dirt for a circular project, begin by measuring the diameter and depth of the project. Multiply pi (3.142) by the radius squared to get the area, followed by multiplying it by the depth to achieve the volume in cubic inches. Schedule a Rockville, MD Fill Dirt Delivery Today! Dirt Connections possesses the experienced that is needed to deliver fill dirt promptly and professionally to anyone in the area. Give us a call or contact us today to schedule your Rockville, MD fill dirt delivery as well as discuss any other project needs.